In the ever evolving world of sports performance MMA athletes are stuck in the Stone Age when it comes to their preparation. In this article I explain why the current norm of training being performed in MMA gyms worldwide is not beneficial and even counterproductive. Knowing how to prepare is a key factor in deciding whether you win or loose. 1) In order to achieve a better Lactic acid system time needs to be spent allowing lactate to accumulate then allowing your buffering system to remove it from the muscle. Triphosphate (ATP) the ATP-CP, Aerobic and Lactic Acid systems. MMA is unique in that it’s 5: 1 work to rest ratio requires good development of both the aerobic and lactic acid systems. Since jiu jitsu and wrestling are almost exclusively aerobic in the trained athlete sparring is the only MMA training that helps develop the lactic acid pathway. 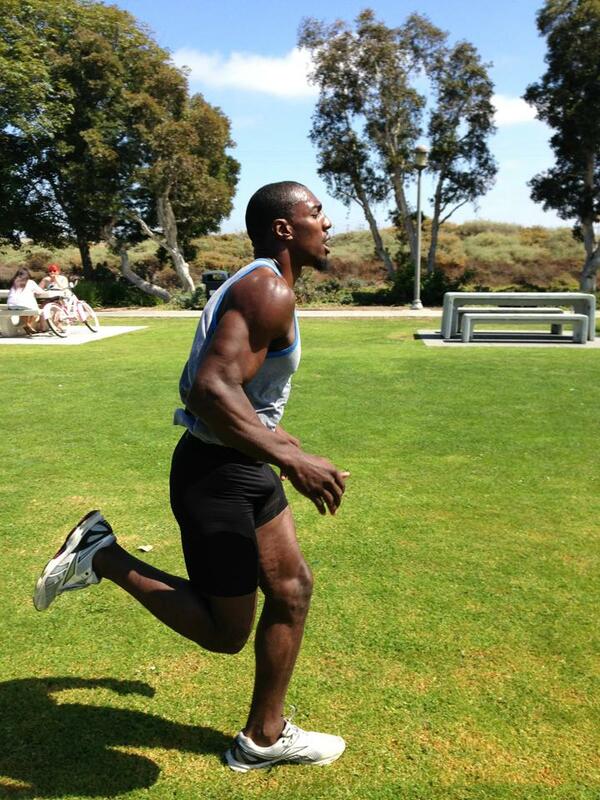 Most fighters only spar two days week, which is not enough to build efficiency within the lactic shuttle. The strength and conditioning workouts done by most MMA fighters is an hour long session performed a couple times a week that is a crossfit style workout combining weight training, plyometrics, tire flips, prowler sled, med balls, sledge hammer, mobility, and many other training mechanisms. During these workouts Lactic acid accumulates so quickly the body struggles to use the lactic shuttle or Cori-cycle and again does not develop anaerobic efficiency. So your left with treadmill incline sprints to improve your Lactic acid pathway. The problem is due to the intensity lactate accumulates too quickly and does not allow you to use your buffering system long enough to benefit you for fight conditioning. Significant time needs to be spent 4 – 5 days a week working within the Lactic acid pathway for it to achieve proper balance with an athlete’s aerobic base. In order to achieve a better Lactic acid system time needs to be spent allowing lactate to accumulate then allowing your buffering system to remove it from the muscle. Interval training is the only way to achieve this. Here is a brief explanation of how the lactic acid system works. If there is insufficient oxygen then NADH cannot release the H+ and they build up in the cell. To prevent this rise in acidity pyruvic acid accepts the H+ forming lactic acid which then dissociates into lactate and H+. Some of the lactate diffuses into the blood stream and takes some H+ with it as a way of reducing the H+ concentration in the muscle cell. 65% of lactic acid is converted to carbon dioxide and water, 20% into glycogen, 10% into protein and 5% into glucose. 2) Another way this is counterproductive is its effect on the hamstring. Sprinting uphill will cause some hypertrophy (growth) in the leg muscles, the incline increases angle at which the hamstring is forced to contract from. As a result of hypertrophy being performed with an increased angle the hamstring will add sarcomeres (Muscle fibers) in series which will increase the length of the muscle. Increasing the length of a muscle causes it to have to travel a longer distance to produce the same amount of force as it did before. This will literally make an athlete slower and less explosive! 3) Lastly there are two types of muscle fibers type I and type II. We will just talk about the type IIx and type IIb fibers since they are the fibers responsible for an athlete’s explosiveness. Muscle fibers are highly adaptive and incline treadmill sprints will cause these fibers to become more oxidative in response to the training. Increasing in mitochondria and oxygen enzymes. This adaptation over time will limit an athletes ability to be explosive and will be detrimental to a fighters overall performance. I test all my athletes DNA to see how well they produce type IIx and b muscle proteins. We do everything possible to increase their potential. 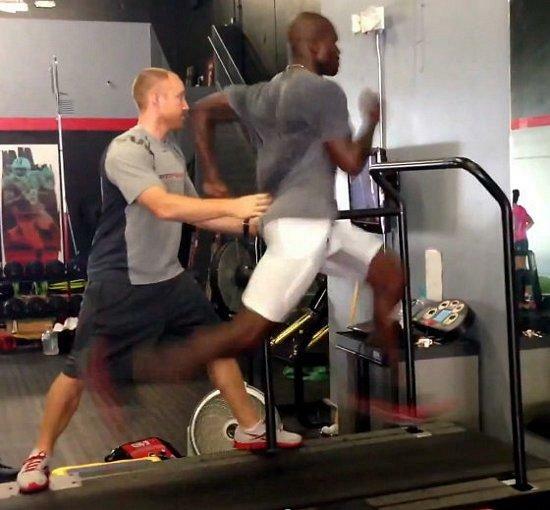 Treadmill incline sprints are very counterproductive on many different levels and should be abandoned for another more effective method. So what can you do to improve your Lactic acid system, intervals have to be incorporated into your training regiment. Without giving away too many of my secrets I will just say the track is a great place to work on interval training. Something as simple as jogging the corners and sprinting the straight away is a great way to train the Lactic acid and Aerobic systems. 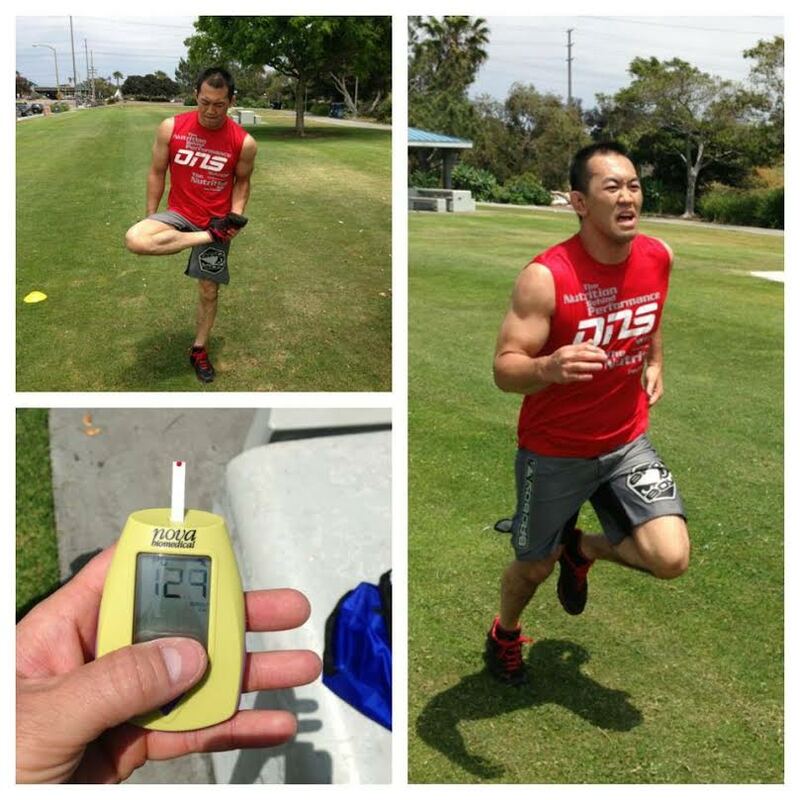 The more time spent training intervals the easier it will be for any MMA athlete push their game to the next level. Chad Macias is a Molecular Physiologist, founder of the Institute for Human Kinetics, professor of Exercise Science University of San Diego, board of advisors Pathway Genomics and has worked with over 2500 athletes.